We are delighted to announce the opening of our brand new fitness facility. 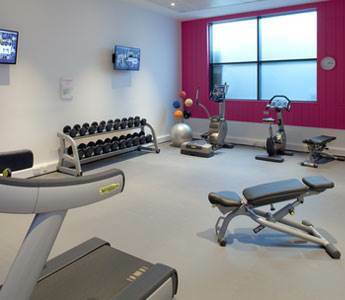 This recently refurbished stylish area provides a host of state of the art cardiovascular equipment, weights and an exercise area for guests to utilize. Our fitness facility is conveniently open 24 hours a day and is exclusively open for hotel guests. This center is accessible from all floors via the lift by pressing - 1 and also by stairs from the lobby. Please bring your room key with you to gain access to the facility.